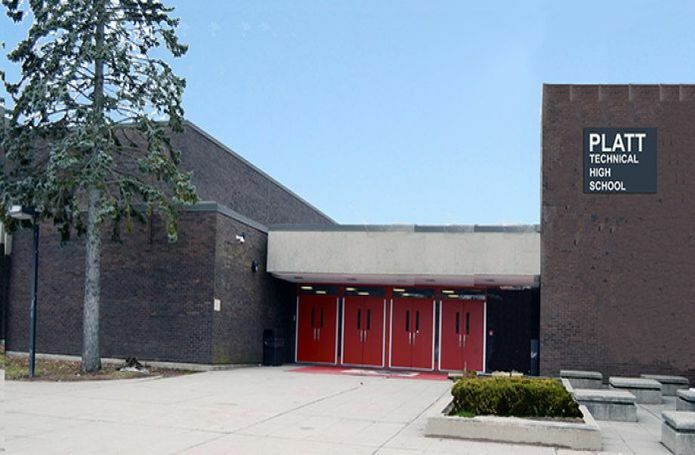 As Construction Manager at Risk, Morganti is collaborating with the State of Connecticut, the Technical High School System, design professionals and end users to develop a constructable plan for a new Technical High School on the existing site. Pre-Construction services have included constructability reviews, site logistics, scheduling and budgeting for several design schemes. The final project is to include a new 210,000 sf facility with common areas of administrative offices, gymnasium, auditorium, kitchen/cafeteria and media center. Technical academic spaces are to include mechanical, electrical, HVAC, carpentry, industrial/manufacturing, digital, automotive, medical, art, culinary and beauty. To accommodate the new school design, extensive site work will include demolition/abatement, new entry, parking, accessory buildings, athletic fields and landscaping.